Coach Lisk is in his 3rd season as ABA coach. We are lucky to have Coach Lisk working with our 8th graders. Coach Lisk brings a wealth of coaching experience to the ABA program. 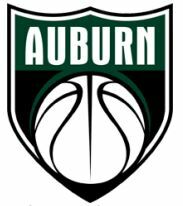 He has had stints coaching at the high school level at Auburn High School and Bonney Lake High School, most recently has head girls coach at BLHS. Coach Edwardson is a former all-league player for Coach Hansen at AHS. He is very excited to be returning to the ABA program as a coach and leader of our 8th grade gold team. He will work hard to teach our young players the fundamentals and skills to help be successful on and off the court.